Former female colleagues and employees of federal Judge Brett Kavanaugh are defending him against an attack by a liberal feminist group calling for an investigation of whether he knew about the bad behavior of a former boss. In the early 1990s, Kavanaugh—now President Donald Trump’s nominee for the Supreme Court seat of retiring Justice Anthony Kennedy—clerked for 9th Circuit Court of Appeals Judge Alex Kozinski. Kozinski retired in December after 15 women, including former clerks and another judge, made sexual harassment allegations against him. In May 2006, Kozinski spoke in support of Kavanaugh’s Senate confirmation for a judgeship on the U.S. Court of Appeals for the District of Columbia Circuit. The liberal group UltraViolet demanded that the Senate Judiciary Committee investigate what Kavanaugh might have known about Kozinski more than 25 years ago. Leslie Fahrenkopf Foley, who was a summer extern in Kozinski’s chambers while Kavanaugh served as a law clerk, defended the high court nominee. Earlier this week, several female clerks for Kavanaugh advocated for him in interviews with The Daily Signal. In an op-ed for The Wall Street Journal, Yale Law School professor Amy Chua called Kavanaugh a “mentor to women,” noting that 25 of the 48 clerks who worked in his office have been women, and a quarter of his clerks were members of minority groups. White House spokeswoman Kerri Kupec called the attack by UltraViolet a shameful “smear” against the nominee. As predictable as it is shameful, the left-wing partisan smear campaign against a distinguished, lifelong public servant has begun. Everyone who knows Judge Kavanaugh knows he believes all people deserve respect, including at the workplace. Judge Kavanaugh mentors and supports his law clerks—a majority of whom are women—and has always ensured that all of his employees are treated with respect and dignity. Judge Kavanaugh clerked for Alex Kozinski more than 25 years ago. Prior to the public reports late last year, Judge Kavanaugh had never heard any allegations of sexual misconduct or sexual harassment by Judge Kozinski. As the White House pushes back, a Wall Street Journal editorial also critiqued press coverage of what it characterized as an unfair allegation. “This week’s mud on the wall includes a claim of guilt by association when Mr. Kavanaugh was a law clerk 27 years ago,” The Wall Street Journal editorial says. Kozinski was nominated to the court by President Ronald Reagan and was confirmed in 1985. Nine of Kozinski’s clerks went on to clerk for U.S. Supreme Court justices—including Kavanaugh, who clerked for Kennedy. Susan Engel, a law clerk for Kozinski in 2000 and 2001, later clerked for the now-deceased Supreme Court Justice Antonin Scalia. 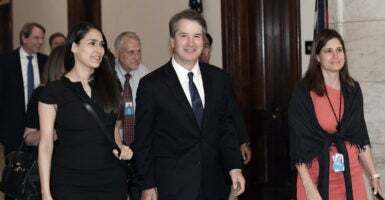 She worked with Kavanaugh at the law firm of Kirkland & Ellis. 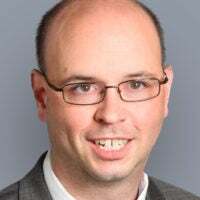 “Brett is a devoted father to two daughters, someone who has mentored and supported the careers of many women lawyers, and someone who has always treated women with respect,” Engel said in a statement. “At no time during my clerkship, or in the years since, did I see or hear Judge Kozinski sexually harass anyone. “I was shocked by the allegations that surfaced last year. I would be astonished if Brett Kavanaugh had ever heard anything about this,” she wrote. Porter Wilkinson, a clerk for Kavanaugh from 2007 to 2008, said she doesn’t believe Kavanaugh knew of any allegations against Kozinski. “Judge Kavanaugh knows firsthand from his mother’s personal experience as a trailblazer in the legal world the discrimination that women can face in the workplace,” Wilkinson said in a statement. “As a former law clerk to Judge Kavanaugh, I know—as evidenced by the letter signed by his law clerks—that he treats everyone with respect. He does not tolerate sexual harassment in any workplace,” she wrote. Kozinski testified at Kavanaugh’s 2006 appeals court confirmation hearing before the Senate Judiciary Committee, shortly after Judge Walter K. Stapleton of the U.S. 3rd Circuit Court of Appeals—for whom Kavanaugh also clerked. I must tell you that in the time that I had Brett clerk for me, I found him to be a positive delight to have in the office. He’s really bright, and he’s really accomplished, and he’s really an excellent lawyer. But most, virtually all, folks who qualify for a clerkship with a circuit judge these days have those qualities. But Brett brought something more to the table. He first of all brought what I thought was a breadth of mind and a breadth of vision. He didn’t look at a case from just one perspective. Like a good lawyer … you have to look at a case from different perspectives, not just one, and not early in the case take one perspective and then stick with it. Brett was very good in changing perspectives. Sometimes, I’d take one position, and he’d take the opposite, and sometimes we’d switch places. He was very good and very flexible that way. The Washington Post first reported in December on a series of 15 former clerks and other female employees who claimed Kozinski had harassed them. Among the accusers was now-retired U.S. Court of Federal Claims Judge Christine O.C. Miller, who said he fondled her. Amid the allegations, Kozinski announced his immediate retirement on Dec. 18.